With the death of his heroic father, bomber and space warfare veteran Patrick McLanahan, Bradley McLanahan must now fly solo, leading a team of young engineers designing Starfire, the world's first orbiting solar power plant. Starfire will not only deliver unlimited and inexpensive electricity anywhere on planet Earth, it can also transmit power to the moon, and even to spacecraft and asteroids. It's a crucial first step in the exploration of the solar system, and Bradley and his team are on the cutting edge. But U.S. president Kenneth Phoenix's plans to militarize and industrialize Earth's orbit sparks an arms race in space that eclipses the darkest and most terrifying days of the Cold War. Before he can prevent it, Bradley and his team are caught at the center of a battle that threatens to become an all-out global conflict for control of space. The story of a man who repeatedly escapes death by travelling back to his youth. fantasy Mailbox Monday sci-fi Stacking The Shelves suvudu thriller What Are You Reading? I like the look of both of your books. Thanks for visiting. Strahan is always reliable, isn't he? Great taste in his selections. It's an odd sort of read - almost geeky in its conversations about time and fate - but a good one. I sat down to try a few chapters and next thing I knew I was 120 pages in. Don't seem like they're for me, but I hope you enjoy them! Oooh, I always enjoy the Best SF & Fantasy books by Strahan, will have to look out for this one! I have Morningside Falls to read too but think I'm going to re-read Three first and I have got to start First Fifteen Lives soon, especially as it was one I was desperate to read! Morningside hasn't grabbed me yet (I miss Three) but First Fifteen Lives has been a pleasant surprise. I don't think I know these ones but I hope you'll enjoy them. Happy reading! These are new to me but I hope you love them! 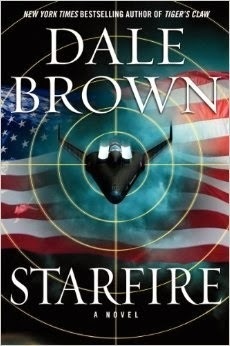 I'm thinking I've read Dale Brown before but I'm not sure. Synopsis sounds great. Enjoy your new books! Starfire sounds pretty cool. I'm trying to work my way through the Baileys Prize long list at the moment. I havent heard of any of these but happy reading! I still need to get around to reading Dan Brown's books. He has been on my list for way too long. Happy Reading! I still need to give Dale Brown a try, my dad's been trying to get be to read them for years. I'm curious to see what you think of Claire North's book. It looks great. 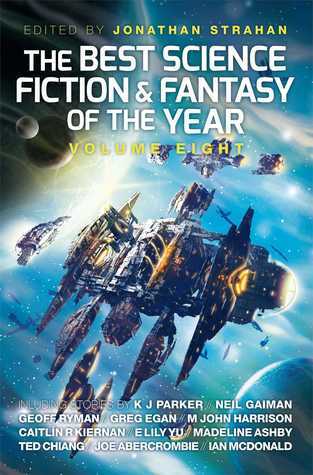 I bet my son would love The Best Science Fiction and Fantasy of the Year! ENJOY your books...again, I don't know any of the titles.